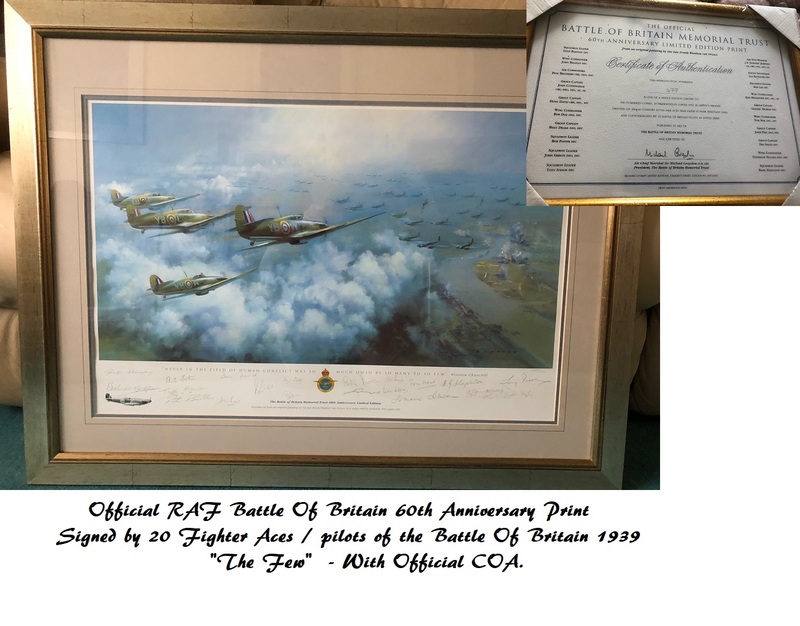 Official RAF Battle Of Britain 60th Anniversary signed x20 pilots - rare ! Never In The Field Of Human Conflict was so much owed by so many , to so few".- Winston Churchill. 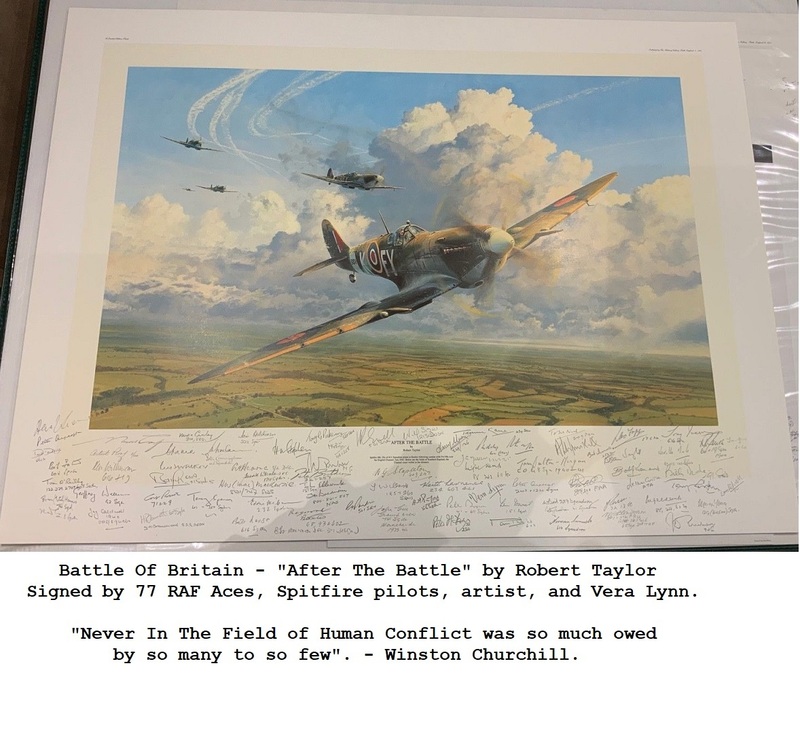 A stunning, large limited edition RAF historical print, signed by 20 Battle Of Britain fighter ace pilots - The last of "The Few". The picture shows the striking image of hundreds of bombers overhead London, with an RAF squadron intercepting. Imagine the odds they had to overcome to survive ! All the pilots who signed this print, were awarded the DFC (Distinguished Flying Cross). The DFC was a prestigious medal, presented by the King, after 5 confirmed kills, which also made the pilot an "Ace". The print has been kept out of light and is in excellent condition throughout, with lovely clear signatures, presented in a stunning silver / gold frame. Comes with a beautiful official RAF Memorial Trust COA, with all the pilots, and awards listed.